The new tax law that went into effect on Jan. 1, 2018, has had a tremendous impact on business activities, including merger and acquisition (M&A) transactions. As businesses prepare to file their tax returns this year, they are just now quantifying how much the Tax Cuts and Jobs Act (TCJA) affects their bottom line. Prior to the TCJA, most businesses could generally deduct 100 percent of the interest expense accrued on loans and other instruments of business-debt. This changes under a provision of the TCJA. For tax years beginning in 2018, interest expense that exceeds the amount of a business’s interest income is only deductible to the extent of 30 percent of that business’s adjusted taxable income (ATI). When the purchase of a business is financed with significant debt, this new limitation can have a substantial impact on the tax obligations of the business and/or its owners. To determine the impact of the interest expense limitation, it is important to first understand what constitutes ATI. The item is calculated by adding back to taxable income any deductions for depreciation and amortization and any deduction for interest expense. There is an exemption from the interest expense deduction limitation for businesses whose average annual gross receipts for the prior three years did not exceed $25 million. However, determining this $25 million threshold is not as simple as it may appear, especially when considering that businesses could be required to include in the calculation the gross receipts of its affiliated companies with common ownership. To determine ATI, the business must add back to its taxable income the deductions it claimed for depreciation and interest expense. In this example, the interest deduction is limited to 30 percent of ATI ($60), or $18. The business’s resulting interest expense disallowance is $12 ($30 less $18). The disallowed amount may be carried forward indefinitely until the business can deduct it in a subsequent year. However, if the business has similar results from operations in subsequent years and the terms of the loans bearing the interest remain constant, it may be difficult for the business to deduct the disallowance in a subsequent year, especially if those subsequent years create additional disallowances of interest. It is clear that the disallowance of the interest deduction reduces the benefit of financing M&A transactions with significant debt. The cost of these transactions would be higher under the new law than before this provision took effect. In addition, if a target company involved in an M&A transaction has a carryover of disallowed interest, the acquiring entity may have limited use of that deduction in subsequent years after the transaction closes. This is due to certain tax provisions that limit tax attributes created before the transaction took place. A special rule under the TCJA allows real estate businesses, including those involved in construction, property development, and rental activities, to make an election to opt out of the interest limitation rules. Doing so, however, comes at a cost since those businesses would be required to depreciate real estate and certain property improvements over a longer period of time using the alternative depreciation system (ADS). For example, under the ADS, non-residential real estate must be depreciated over 40 years rather than the traditional 39-year period, while residential property requires a 30 year depreciation schedule rather than the normal 27.5 year depreciation life. In addition, the ADS requires certain nonstructural improvements to real property to be depreciated over 20 years, rather than the typical 15-years. Moreover, the harshest consequence of the ADS is that nonstructural improvements to real property are not eligible for first-year bonus depreciation, which would otherwise allow businesses to fully write-off the asset’s cost in the year of expenditure. The initial impact of the business interest limitation rules will be realized over the next few months as taxpayers prepare their 2018 tax returns and calculate the necessary computations and/or elections out of the rules. On a prospective basis, buyers, sellers, and private equity groups should structure upcoming transactions with these new rules in mind. Buyers should model-out the true cost of leverage by considering what may be the ability to deduct interest expense. Entities considering selling soon, should realize that any disallowed interest carryovers may be of limited value to an acquirer because of the rules noted above concerning limitations for tax attributes that were created before the transaction. Private equity groups may reconsider the mix of debt and equity injected into their portfolio companies. All tax planning around the limited business interest expense deduction has been further complicated by the pace at which the IRS has issued guidance to help taxpayers apply this provision of the new law. It was not until late in 2018 that the IRS issued regulations explaining many of the terms contained in the statute, including what constitutes “interest expense; how the interest expense limitation rules apply to partnerships, S corporations, and controlled foreign corporations; what elections are available; and how the interest limitation interacts with and affects other provisions of the tax code. Nevertheless, parties involved in M&As must plan ahead to consider the impact of the tax law’s limitation to the business interest expense deduction and implement appropriate strategies to minimize or offset its impact. Lewis Taub, CPA, is a Director in the New York office of Berkowitz Pollack Brant Advisors and Accountants, where he works with entrepreneurial business, multinational and multi-state corporations on tax planning and compliance strategies. Much of his work is concerned with advising buyers and sellers on the structure of M&A transactions to optimize the tax impact. 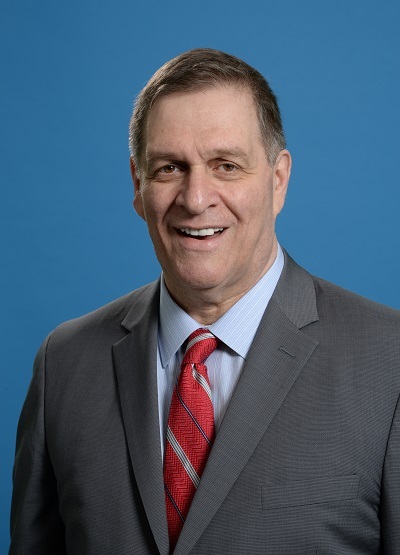 Lewis has developed and instructed many courses on tax planning opportunities and for many years instructed tax courses as an Adjunct Professor at Fordham University’s graduate tax program.